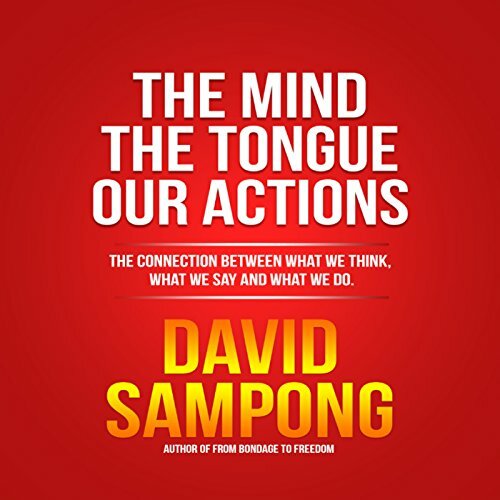 The Connection Between What We Think, What We Say and What We Do. Many people are depressed today and do not know how they got into that situation. Others are stressed out because they are thinking too much about things that do not bring them anything positive. We have got to a point in time that we let our mind travel and explore but not in the right direction. We speak how we feel instead of speaking what we want. We have a power that can change our situation but instead of using that power for good we use it the negative way. In this audiobook, David describes the principles of creation and how we can use that principle in our day-to-day lives. David talks about what a principle is and why there is a need for principles. With the understanding of principles, he explains the details of creation and how we have been creating things around us without knowing we were. The book deals with the mental faculty and its relationship with what we say, for it is what we think about that we talk about, and what we talk about is who we become. If you want to know how to create the world around you, this audiobook is for you.